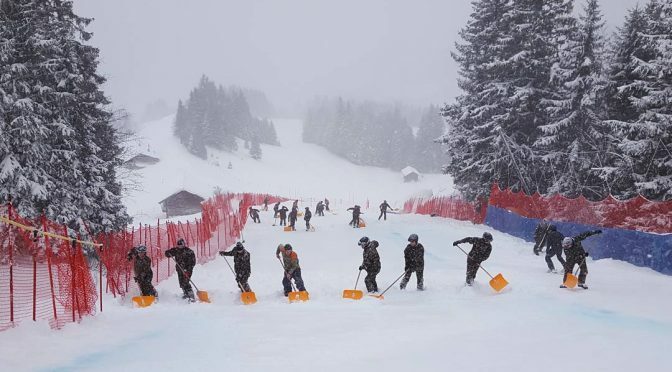 Wengen, Switzerland – Snow and wind wreaked havoc on Saturday’s scheduled Audi FIS Ski World Cup races, cancelling both the men and women’s downhill races in Switzerland and Altenmarkt- Zauchensee, Austria. 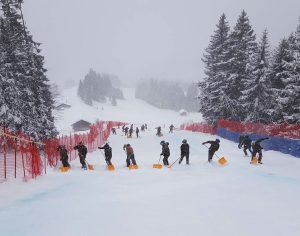 The women were scheduled to have both a downhill training run and downhill race Saturday in Altenmarkt-Zauchensee, but due to heavy snowfall both had to be cancelled. Weather also cancelled downhill training on Thursday and Friday. Downhill training has been scheduled for Sunday, followed by the downhill race at 12:15 CET (6:15 a.m. EST). 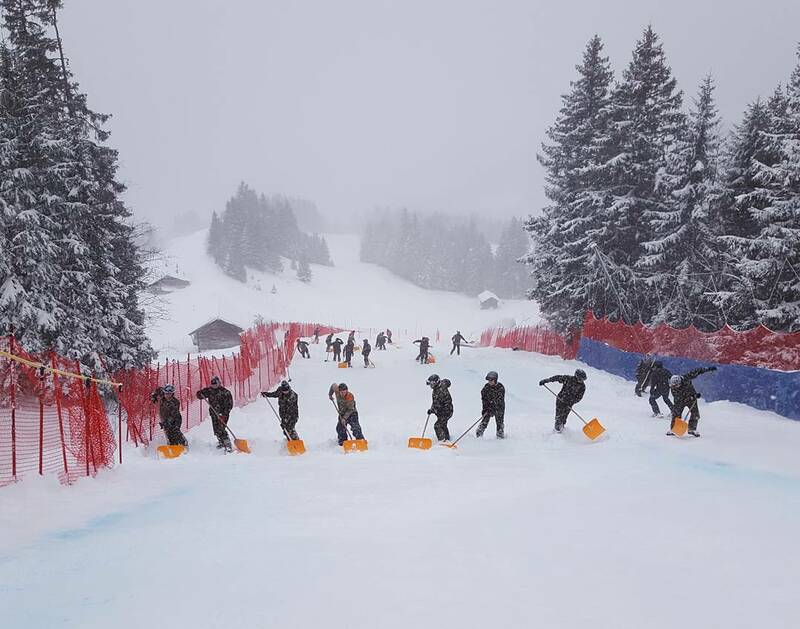 For the men, heavy snowfall in Wengen forced the cancellation of the Lauberhorn downhill Saturday. More than a foot of new snow fell on the Swiss resort, and with more snow in the forecast throughout the day, there was no chance to clear the track. On Sunday, the men will stay with their original schedule with slalom – first run at 10:30 CET (4:30 a.m. EST) and second run at 13:30 CET (7:30 a.m. EST). As of now, no announcement has been made on re-scheduling the men’s downhill.